Meet the 2018 - 2019 Inaugural Cohort! The Climate Leaders Program for Professional Students at Harvard is a new student-led, faculty-advised program for Master's and professional doctorate students across all Harvard graduate schools, developed in partnership with the Harvard University Center for the Environment (HUCE). This program provides students with a hands-on opportunity to engage with others across Harvard who share a professional interest in climate-related work, to mentor one another in their development as practitioners, and to develop professional skills and relationships that support their future careers. The program – which includes a weekend fall retreat at the Harvard Forest, dinners and workshops with leaders in the field, and a year-end event – will accept up to 40 Master's and professional doctorate students from at least 5 Harvard graduate schools, prioritizing students with a demonstrated interest in climate-related work. The program will be led by a team of participating students, with guidance from advising faculty. The content of the workshops, dinners, and other programming will evolve throughout the year and from cohort-to-cohort, based on the shared values, interests, and priorities of the current cohort. Participants and faculty will be actively engaged in the design and execution of the program throughout the year. The Climate Leaders Program for Professional Students at Harvard is a product of many efforts across campus to secure additional opportunities for cross-Harvard collaboration for students with a professional interest in climate-related work. It is primarily organized and administered in partnership with the Harvard University Center for the Environment, with additional partners across the University. The program kicks off with a weekend intensive retreat with fellow participants in the Harvard Forest, a 3,500 acres facility owned and managed by Harvard in Petersham, Massachusetts. The forest is a site for internationally-significant climate science research. Students will stay overnight in the Forest in on-site facilities. During the weekend, students will get to know peers from across Harvard's graduate schools who share a professional interest in climate-related work, while setting program priorities and establishing a foundation for the inaugural year of the Climate Leaders Program. Over the fall and spring terms, participants will organize at least eight dinners with key leaders and experts in the field, based on the interests of their peers in the program. The climate-related topics covered at these dinners, as well as the overall format of the dinner, are left to the participants to determine together. Program participants will receive support from the Harvard University Center for the Environment and from faculty advisors in securing guests to come speak with students. Over the fall and spring terms, participants will organize at least four workshops, focusing on developing critical skills. These workshops will allow participates to dive deep into climate-related topics like designing a low-carbon economy, negotiating across differences, managing effective multidisciplinary teams, or other topics of interest to the cohort as a whole. Gina McCarthy is Professor of the Practice of Public Health in the Department of Environmental Health at Harvard T.H. Chan School of Public Health and the Director of the Center for Health and the Global Environment. In this capacity, she leads the development of the School’s strategy in climate science, health, and sustainability; strengthens the climate science and health curriculum; and liaises with climate science leaders across the University. She led EPA initiatives that cut air pollution, protected water resources, reduced greenhouse gases, and strengthened chemical safety to better protect more Americans, especially the most vulnerable, from negative health impacts. McCarthy signed the Clean Power Plan, which set the first-ever national standards for reducing carbon emissions from existing power plants, underscoring the country’s commitment to domestic climate action and spurring international efforts that helped secure the Paris Climate Agreement. McCarthy worked with the United Nations and the World Health Organization on a variety of efforts and represented the U.S. on global initiatives to reduce high-risk sources of pollution. McCarthy has been a leading advocate for common sense strategies to protect public health and the environment for more than 30 years. She served under President Barack Obama as the 13th Administrator of the EPA from 2013–2017. Wendy B. Jacobs, Esq. is the Emmett Clinical Professor of Environmental Law and Director of the Harvard Law School Emmett Environmental Law & Policy Clinic. She serves on the Faculty of the Harvard Center for Health and the Global Environment and as Special Adviser to the HLS Dean on Learning and Practice. She is a member of the American College of Environmental Lawyers and is the Board Chair of the Clean Air Task Force. In the Clinic, Ms. Jacobs and her students work on a variety of complex environmental and energy law and policy projects, with a focus on citizen science, climate change mitigation, resiliency and displacement, sustainable aquaculture and agriculture, renewable energy, microgrids and district energy, carbon capture and sequestration, improved oversight and management of offshore drilling, protection of the Arctic, energy justice, and protection of national monuments. In 2017, she launched the Climate Solutions Living Lab course, in which advanced students from multiple disciplines across Harvard University collaborate in designing projects to help universities and other enterprises reduce climate impacts via off-campus actions and investments. Prior to joining Harvard Law School, Ms. Jacobs practiced environmental and administrative law as a partner in the Boston law firm Foley Hoag LLP for 20 years, and before that as an appellate attorney and special litigator for the U.S. Department of Justice Environment Division in Washington, D.C. Ms. Jacobs received her J.D. with honors in 1981 from Harvard Law School, where she was an editor of the Harvard Law Review. For information about Ms. Jacobs’ work, please visit the Clinic’s website at http://environment.law.harvard.edu/emmett-clinic/. Robert Stowe is Executive Director of the Harvard Environmental Economics Program (HEEP) and Co-Director of the Harvard Project on Climate Agreements, both University-wide initiatives based in the Harvard Kennedy School (HKS). He teaches courses on climate-change policy at HKS and, with the HEEP team, designs the curriculum for an HKS executive-education program on climate-change and energy policy. Dr. Stowe has participated, through the Harvard Project, in the annual Conferences of the Parties of the U.N. Framework Convention on Climate Change since 2007. He was a Contributing Author to a chapter on international cooperation in the Intergovernmental Panel on Climate Change’s Fifth Assessment Report and has participated regularly in biannual meetings of the Climate Change Expert Group, hosted by the Organisation for Economic Co-operation and Development, in Paris. With the HEEP and Harvard Project team, Dr. Stowe has designed agendas for fourteen research workshops and policy roundtables since 2011. Topics include China’s national carbon-pricing system, the elaboration and implementation of the Paris Agreement, sub-national climate-change policy in North America, and the governance of solar geoengineering. Workshops and roundtables have been held at HKS and in Beijing, Shanghai, Toronto, Mexico City, Berlin, and New York. Dr. Stowe has co-edited, with Professor Robert Stavins (HKS), three volumes of expert briefs based on research workshops (most recently: International Cooperation in East Asia to Address Climate Change, February 2018). Dr. Stowe holds a Ph.D. in political science from the Massachusetts Institute of Technology and an A.B. in physics from Harvard College. Must fully commit to be an active participant. This is a hands-on, student-driven program that requires participants to take the lead in developing and executing the program. If you have any questions about the program, please feel free to contact Sanjay Seth (MPA/MUP '19) at sas6282@student.hks.harvard.edu. 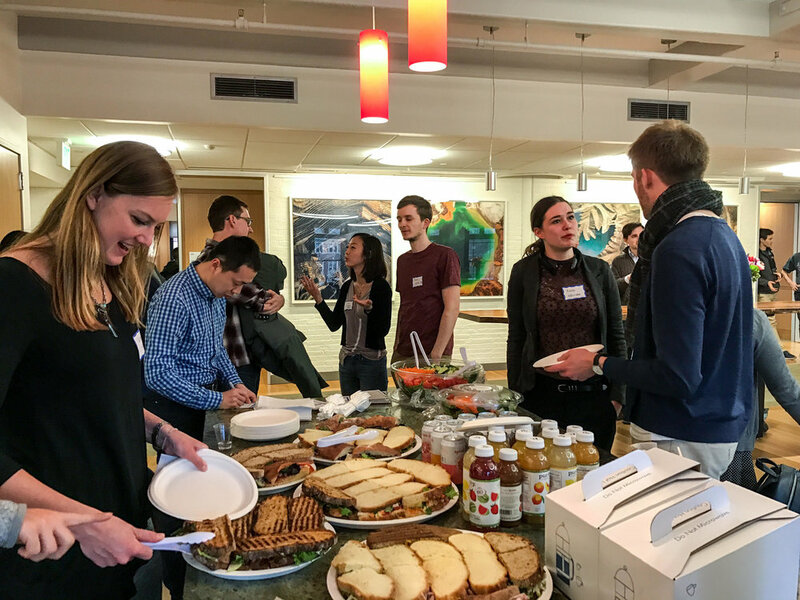 If you would like to keep in touch and receive personal event invitations from the Climate Leaders Program for Professional Students at Harvard, please sign up for our newsletter below.